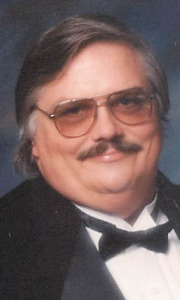 Newcomer Family Obituaries - Greg Murphy 1948 - 2013 - Newcomer Cremations, Funerals & Receptions. Guthrie “Greg” Murphy, age 64 of Bethel Township, passed away on Friday, January 4, 2013. He is preceded in death by his father, Lyle Guthrie Sheill, Jr., mother, Mary Eileen Murphy, and step-father, Edward Dean Murphy. He is survived by his loving wife of 40 years, Kathy Murphy (Sparks); son, David Murphy; daughter, Deborah (Jim) Compton; son, Dwayne Murphy; grandchildren, Alex Murphy, Nicholas Murphy, Brandon Peterson, Sarah Peterson, Abigale Peterson, Emily Peterson, Madison Compton; great-grandchildren, Lanorah; brother, Jeffery Shiell, aunt, Gloria Worten; cousins, Craig and Susan; mother-in law, Monie Sparks; brothers-in law; sisters-in-law; and numerous nieces, nephews, family, and friends. Greg proudly served his country in the U.S. Army during the Vietnam Conflict. He worked as a tool and dye maker and tooling engineer. Greg was a loyal member of Sons of God Motorcycle Club. In lieu of flowers, donations may be made to Sons of God MC, 1107 Chalet Dr., New Carlisle, 45344. Add your memories to the guest book of Greg Murphy. I've had two dreams of you now. The first one was in a reocurring dream where I could never make it across a body of water on a slim pole. One dream I actually made it across, there awaiting me was a white ferry boat with a set of stares in the middle. I walked up the middle stares and there you sat eating a meal by yourself, I said nothing but you said one sentence to me then I woke from the dream... to this day its haunted me that I could never remember that sentence. A few months ago I dreamt of you again. You approuched me in good posture and a black suit. Your body looked healthier and not withered and weak anymore... your big glasses were on and you had your long hair but it was dark again... you looked the best I ever remember you looking. Heart enlightened but confused I asked you how are you here? You died? You told me you are better now and was only sick for awhile.. I asked well if your alive why did grandma spend that time crying? And you just kept telling me your okay now... then told me you would take me out to get something to eat when I was done working. Then I woke up and it took me a little bit to realize you are still gone... thank you for visiting me. I got all I needed from that dream. One more thing my mom Deborah compton kept telling me you need to see your grandpa he's very sick but I was 20 young and fullish I thought I had time the last time I saw you you were asleep I showed up 2 am you were barely breathing I told you how much I loved you but you wernt awake and I'm so sorry so so so sorry man in the flesh is selfish and I'm sorry I was just so caught up in my life and if I could've just told you how perfect you were to me I could never be sorry enough and I hope you miss me as much as I do you because I need you so much and I love you:,,,, ( I miss you holding my hand and your hugs I'm sorry I wasn't there when when I needed to be I love you and I'll be with you again soon .. I only knew Greg 35 years ago, but memories of shared zeal for the Lord are deeply etched, like David and Jonathan, or Jehu and Jehonadab. I honor Greg's memory. You are blessed, as are your children. Take comfort in God's promised reunion. Have peace, finish your race, and may the peace of God keep you. He was the best dad ever!! Our heartfelt sympathy. Cherish memories, they will get you through. I worked with Greg in tool and die, rode motorcycles with him, he will be missed. May he rest in peace. Our hearts break for your loss...Celebrate his life, hold tight to the memories, he will live forever in your heart. Sending our love and prayers to you all.